The conversation with Tass is dedicated to the themes of Lent, but also to the war in Ukraine, schismatic Orthodox Churches and relations with the Catholic Church. Moscow (AsiaNews) - The Patriarch of Moscow and All Russia, Kirill, has released his first interview with a secular magazine, choosing the official news agency Tass. Published on 10 March and dedicated to the period of Lent, the lengthy interview touches on various topical issues: the Mohammed cartoon, the war in Ukraine, relations between the Church and society, and also relations with the Catholic Church. The interview failed to provoke specific comments or clamor in the media, but is part of the broader effort to reaffirm the Church’s presence in the secular life of the nation. In late January, for the first time, Kirill had intervened with a speech before the Duma, the lower house of parliament. Experts had then pointed out that in a time of economic and international crisis like the present, all institutions, especially religious ones, need to be mobilized. The Patriarch admitted that currently the issue that most concerns him is the war in Ukraine: “This does not let me sleep – both literally and figuratively.” He said he is convinced that sooner or later the country will return to peace, but it is important to overcome mutual hostility: “we are calling on the conflicting sides in Ukraine to show prudence. The seeds of antagonism will grow with poisoned fruit in the future”. 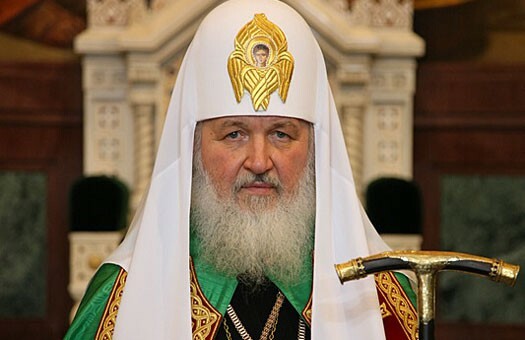 Kirill returned to the theme of the divisions in the Orthodox Church in Ukraine, denouncing that the political and military situation is being exploited by the schismatic community and “a violent seizure” of the parishes of the Russian Orthodox Church is taking place in the country. ” This is a huge mistake on the part of those who declared war on the Church in Ukraine,” he added ensuring that the canonical Church in the former Soviet republic will not disappear and rejecting any notion of a schism from Moscow. The Church, he assured, is doing everything possible so that the conflict does not create new victims. ” We do not exaggerate our capabilities, but we don’t belittle them either”. Questioned on modest lifestyle, chosen by Pope Francis, unlike the luxury of which the upper echelons of the Patriarchate of Moscow are often accused, Kirill replied: “I do not think I should comment on the style of conduct of the Primate of the Roman Catholic Church. And I am confident he would not make comments as regards me either. I have sincere respect for Pope Francis and for the fact he keeps up close bonds to the monastic tradition that molded him”.